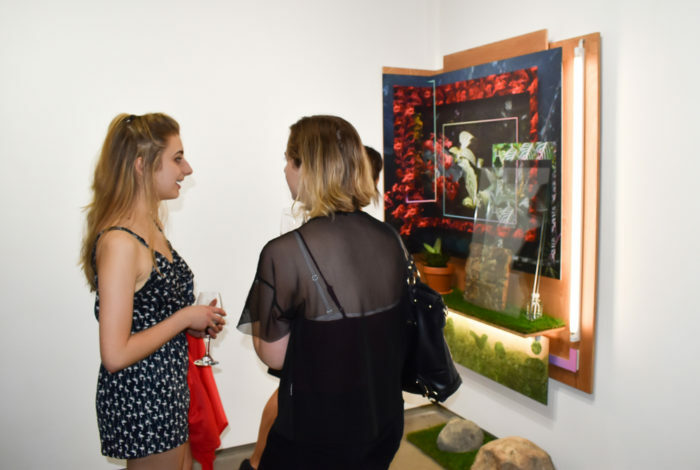 Flowers Gallery’s summer group show, the whimsically titled No Lemon No Melon, brings together a diverse group of artists who work with layering and mirroring as a recurrent theme. 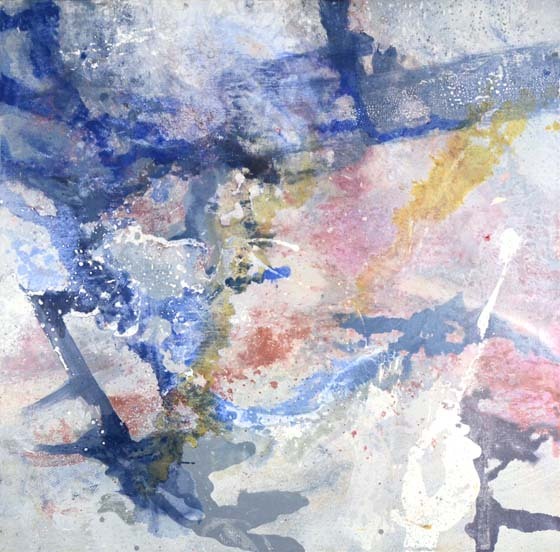 Featuring eight strong artists, each of whom is granted an individual niche within the gallery space, the exhibition largely succeeds in highlighting the transformative effects of these techniques. 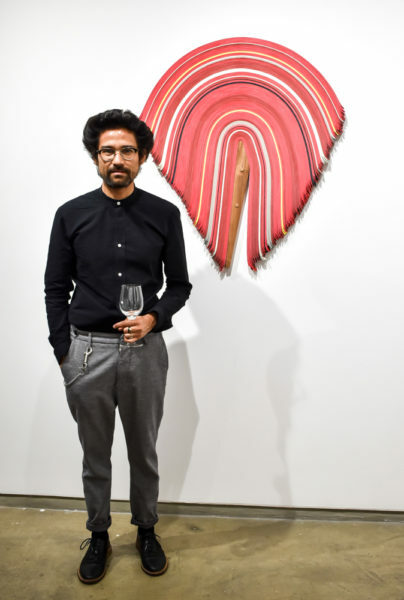 Artist Derrick Velasquez in front of his sculpture at the opening of the group show “No Lemon No Melon” at Flowers Gallery, New York. 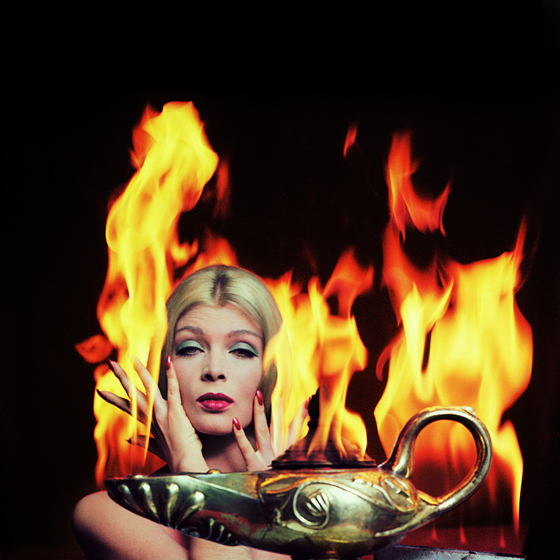 Through various media are represented in No Lemon No Melon, some of the strongest works come in the form of sculpture. 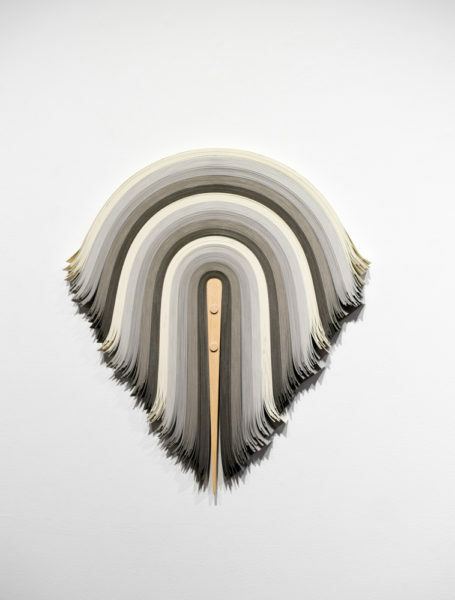 Derrick Velasquez’s wall sculptures from his Untitled Series, create a comforting rhythm in the form of patterned geometric reliefs made of colored strips of vinyl and wood. 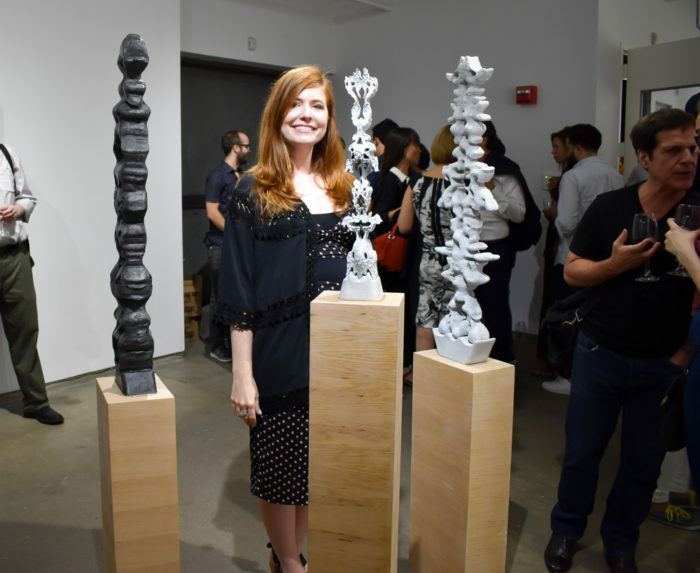 Artist Colette Robbins with her sculptures at the opening of “No Lemon No Melon” at Flowers Gallery, New York. 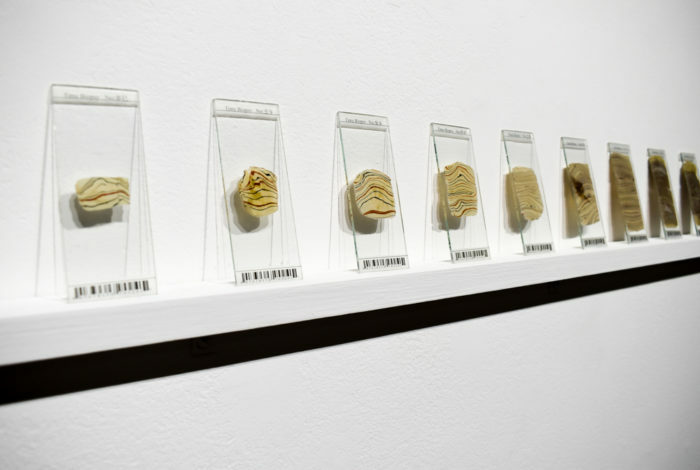 Other sculptural standouts include the totemic sculptures from Colette Robbins’ Archaeological Fiction series. 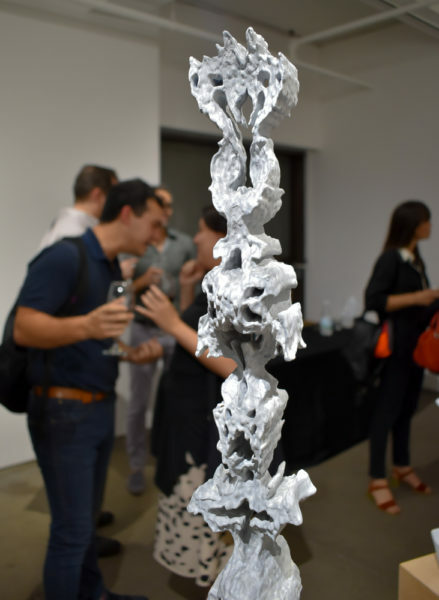 The mid-sized 3-D printed works, in their resemblance of Rorschach drawings and compelling abstraction, provide the exhibition with an air of almost supernatural mystery. Mark Dorf’s transposition works blur the line between sculpture and photography, and between indoor and outdoor. 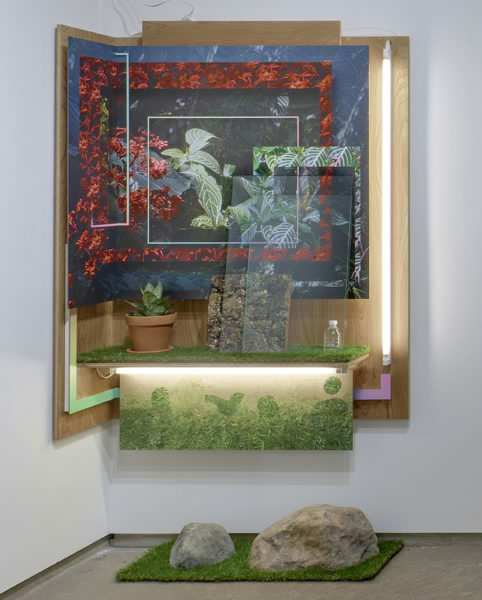 Doubling as installations, his sculptures incorporate images of nature and found objects including rocks and house plants to create literal portals into nature against the gallery walls. Overall, No Lemon No Melon at Flowers offers a refreshingly intelligent summer exhibition bringing together eight interesting artists who utilize layering techniques to address the physicality of their surroundings, both on their own and in conversation with the other works on view in the gallery. 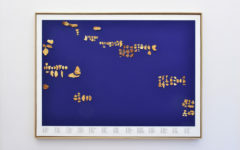 Sun Yue, Biopsy of Time No. 2, 2017, clay, glass 11 x 160 x 3 cm, 4 3/8 x 63 x 1 5/8 in. Karilee Fuglem, Holding you as Steady As I Can, 2016, mylar and wood 12.7 x 86.4 x 15.2 cm, 5 x 34 x 6 in Edition of 20. 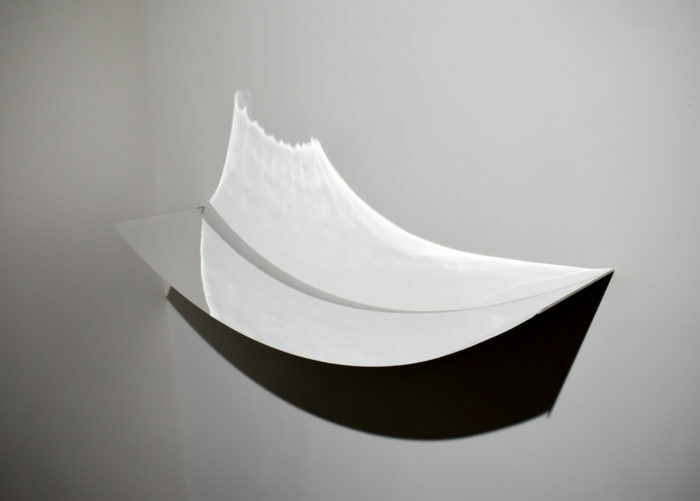 Derrick Velasquez, Untitled 164, 2017, vinyl, white ash, 58.4 x 55.9 x 2.5 cm, 23 x 22 x 1 inch. 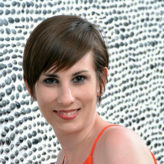 Close up to a sculpture by Colette Robbins. 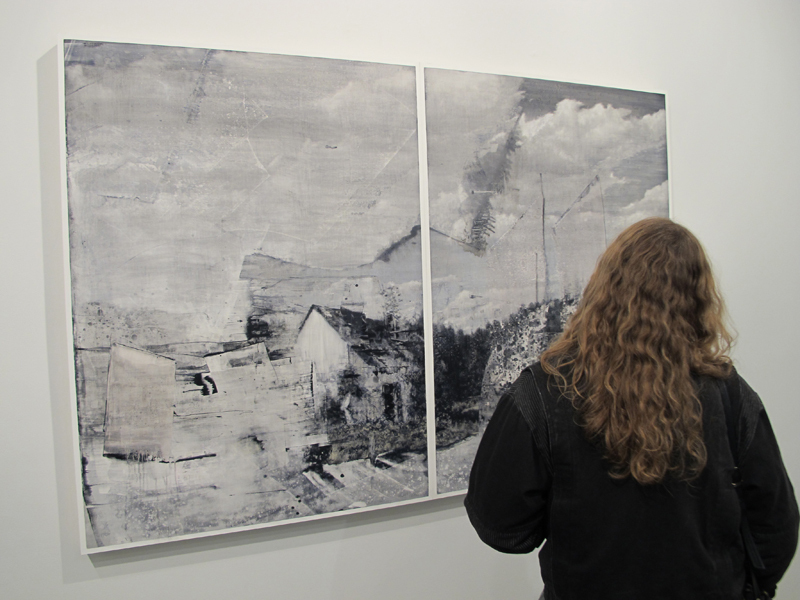 Opening night for “No Lemon No Melon” at Flowers Gallery, New York.